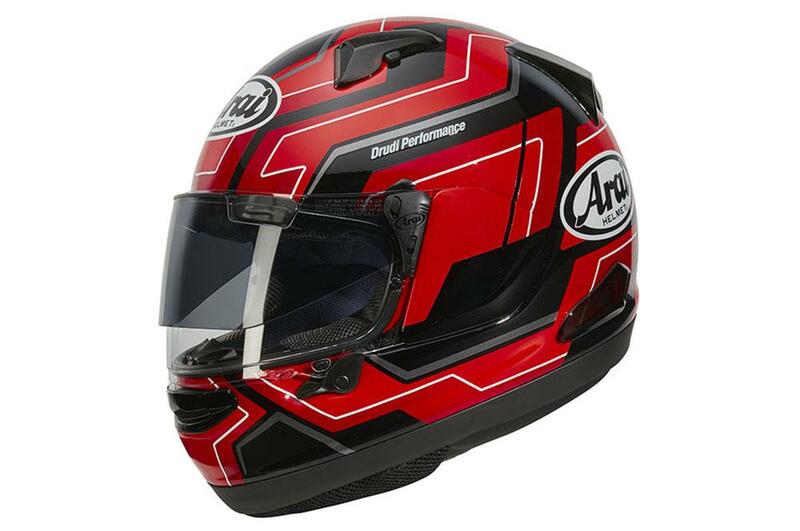 The QV-Pro is the latest version of Arai’s top-end sports-touring lid and uses features filtered down from the Japanese brand’s flagship RX-7V racing helmet to produce a road lid that’s quieter, better ventilated and easier to use. It uses the same shell as the RX-7V too albeit with a different ventilation system. 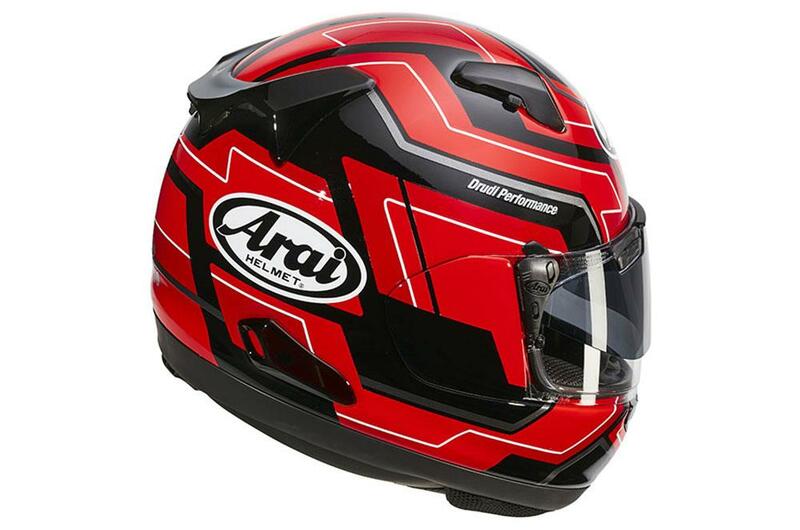 The helmet also features Arai’s Variable Axis System and has been revised so that it’s easier to use, however it still requires the side pods to ‘pop off’ which some may find alarming. 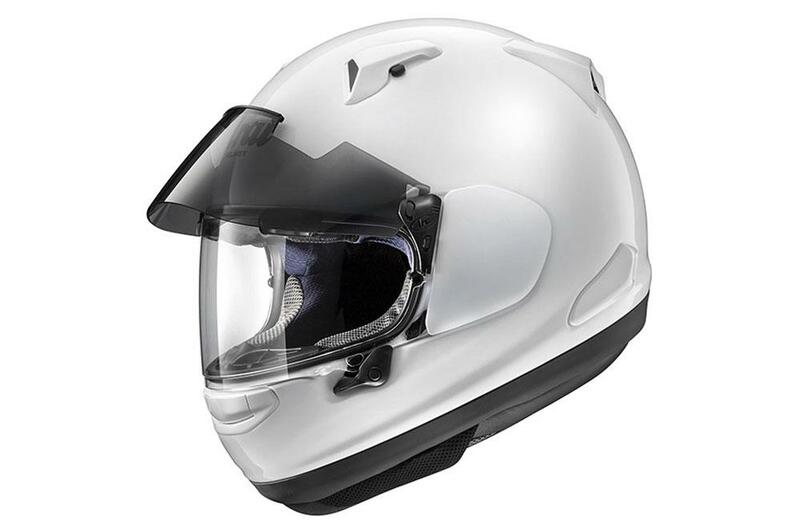 It also comes with Arai’s PSS visor too which helps with fogging and sun-glare. 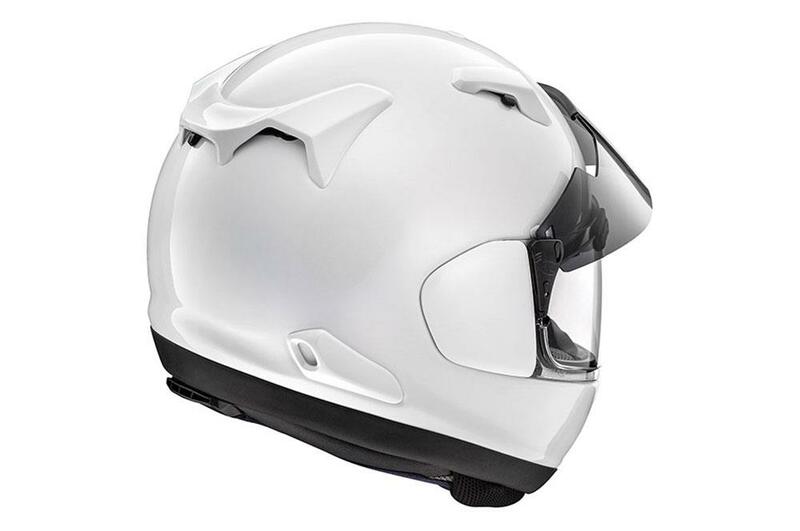 The helmet comes in a choice of different colours and prices start at £499.99.